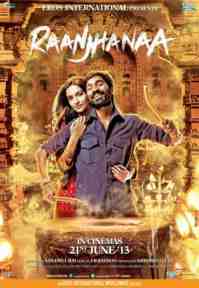 The Pakistan Film Censor Board has banned the exhibition of the film Raanjhanaa because of its supposedly controversial theme . Amjad Rasheed, the importer of Raanjhanaa , told The Express Tribune that he received a letter from CBFC with directives to shelve the film's release. The letter from CBFC states that the film portrays an inapt image of a Muslim girl falling in love with a Hindu man and having an affair with him. The Bollywood film's plot portrays Muslim girl Zoya falling in love with Kundan and later Jasjeet Singh. Kundan falls for Zoya at first sight. He follows her to school. After getting slapped 16 times by Zoya, she agrees to meet him behind a temple, but the meeting does not turn out well as Zoya finds out that he's Hindu. As the story unfolds, Zoya also develops feelings for Kundan, however, her parents find out about it and send her off to Delhi in order to protect the family's honour. Later in Delhi, Zoya falls in love with Jasjeet Singh, a student leader. 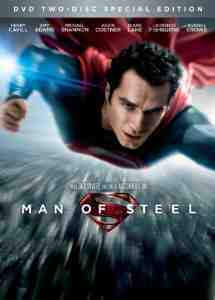 Pakistan's film censor board has banned the screening of Sanjay Dutt's Policegiri and Zack Snyder's Man Of Steel. No specific reasons were cited for the decision. A press release issued by the Central Film Censor Board only said the ban was imposed as the films violated the Motion Pictures Ordinance of 1979. Both movies were released in cinema halls in major Pakistani cities several weeks ago. They are still being screened in some cities like Karachi and Lahore. In an unprecedented move by Lahore High Court, Justice Khalid Mehmood Khan issued a contempt notice to the Chairman of the Central Board Film Censorship (CBFC) and senior bureaucrat Syed Arshad Ali for failing to stop the exhibition of illegal foreign films in Pakistan. The struggle to prohibit the exhibition of Indian films has been deeply connected to efforts to revive the fledging local cinema industry by veteran Lollywood and Punjabi filmmakers. They claim that Indian films hinder the progress of local filmmakers, and their economic gain on Pakistani soil is against the law. As a result of the notice, the CBFC has refused to is issue a film certificate for the upcoming Bollywood film Bullett Raja . Ali, the censor board's chairman, issued a statement to the press saying that the censoring of all films had been stopped, and the board would let the courts decide the matter. He maintained that the board had, so far, not censored any smuggled or illegal content; in fact all of the films (including Bullett Raja ) that had been stopped had already been approved by the Ministry of Commerce. Haider is a 2014 India crime romance by Vishal Bhardwaj. Starring Shahid Kapoor, Tabu and Shraddha Kapoor. 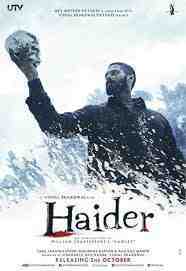 Vishal Bhardwaj's adaptation of William Shakespeare's 'Hamlet', Haider - a young man returns home to Kashmir on receiving news of his father's disappearance. Not only does he learn that security forces have detained his father for harboring militants, but that his mother is in a relationship with his very own uncle. Intense drama follows between mother and son as both struggle to come to terms with news of his father's death. Soon Haider learns that his uncle is responsible for the gruesome murder, what follows is his journey to avenge his father's death. Citing the film's sensitive content , Pakistan's Central Board of Film Certification (CBFC) decided against the release of the film in Pakistan. A CBFC employee told The Express Tribune that Haider's controversial topic and propagandist nature are the reasons for this. Has nothing to do with the ongoing tension between Pakistan and India. Any film that is on a controversial topic, such as the Kashmir issue, will most likely not be released in the country. The film is against the ideology of Pakistan. We have a professional panel of reviewers that assesses films while keeping in mind factors that a layman can't understand. He stated that certain Hindi words used in a film may seem harmless to an average audience member, but can have adverse effects on our culture. We realise the [gravity of the] situation at the Line of Control and if one board has refused to certify the film, then the wise thing to do is not to offer the film at all. The film has also caused controversy in India. A court in the state of Uttar Pradesh is hearing a petition calling for the film to be banned on the grounds that it was against national interest. Baby is a 2015 India action crime mystery by Neeraj Pandey. Starring Kerem Sarikaya, Ali Balkan Avci and Zachary Coffin. An elite counter-intelligence unit learns of a plot, masterminded by a maniacal madman. With the clock ticking, it's up to them to track the terrorists' international tentacles and prevent them from striking at the heart of India. Censor boards in Islamabad and Karachi have decided to ban the film because it portrays a negative image of Muslims and the negative characters in the film also have Muslim names. All CDs and DVDs of the film have also been banned in Islamabad. A representative of the film's distributor, Everready Pictures informed the paper that the film has been banned in Pakistan. Earlier, director Neeray Pandey was quoted as saying that the film was not anti-Pakistan. The board routinely bans films deemed to have anti- Pakistan themes. Maalik is a 2016 Pakistan action thriller by Ashir Azeem. Starring Ashir Azeem, Farhan Ally Agha and Sajid Hassan. An Afghan family that escapes from the ravages of the Soviet war in Afghanistan and settles in Karachi. A SSG officer who undergoes a personal tragedy and starts a private security company (Black Ops Pvt. Ltd) in Karachi. His SSG colleagues keep joining the company on their retirements. An idealist school master who suffers greatly under a cruel Feudal lord and settles in Karachi and finally the Feudal Lord who becomes the Chief Minister of Sindh and unleashes a reign of terror on all that cross his path. Maalik is a story of love, loyalty, honor, family value, idealism, courage and dignity against all odds, and across all sections of society from the poor and the struggling to the highest levels of wealth and power. The film was removed from cinema screens by government authorities a few weeks after its initial premiere on April 8, 2016. This is in spite of it being cleared by all three censor boards. The information ministry reserves the right to ban any film at any time. Maalik has been banned because it shows a former chief minister as a man of corruption and opulence. Following numerous appeals from Sindh, the film was eventually banned by the Federal Government across the rest of Pakistan. The Pakistani government later attempted to ban the export of the film on August 9, 2016, barring it from being shown overseas. However, despite these attempts, the film was set for release in the UK and internationally on August 26, 2016. Authorities in Pakistan are very concerned with how they are perceived, especially abroad. Whereas this might be considered an overreaction in some countries, it has become the go-to method for the authorities to ban content they deem offensive or controversial. Meanwhile in the UK, the film was passed 15 uncut for strong violence, sexual threat for 2016 cinema release. The Sindh High Court has declared the federal government's controversial ban on film Maalik illegal and cleared it to be screened again. The federal government had banned Maalik, overruling film censors who had cleared it for its release on April 8. The government banned the film after it had been on release for 3 weeks and did not provide any explanation for banning the film in its notification. Ashir Azeem, the film's director, had challenged the ban in court saying the ban on Maalik had been imposed by the government without having the authority to do. The authority to establish censor boards was a prerogative of provincial governments following the 18th amendment, he had argued. And Chief Justice Sajjad Ali Shah duly cleared the film for screening across the country while ruling the ban illegal. Pakistan's Central Board of Film Censors (CBFC) has conceded before the Supreme Court that the ban on feature film Maalik was imposed without inquiring into the allegations levelled by complainants against the film. Chairman CBFC Mubashir Hassan conceded this before a two judge bench of the top court which on Friday took up the government's appeal against Sindh High Court's quashing of the government's ban of the film. Hassan told the court that the board had banned the film on several complaints by the general public against the objectionable script maligning politicians and judiciary. He said that keeping in view the sentiments of public, the members of the board recommended banning the film. Justice Qazi Faez Isa, on the bench, observed that volume of complaints of the public were meaningless unless these complaints are substantive. You approved the screening of the film and the other day you banned it as your mood changed on a single phone call. Isn't this effectively corruption? What do you people want? Do you want to devastate the Pakistani film industry? What are you doing being a chairman of responsible institution? You are repeating like a parrot that the ban was imposed in regard with complaints. Is this the job you are doing? Following the arguments, the top court directed the federal government to submit a report on objectionable contents in the film along with the objectionable part of the script in order to establish the de-certification of the film Maalik. The hearing of the case was adjourned for 15-days.